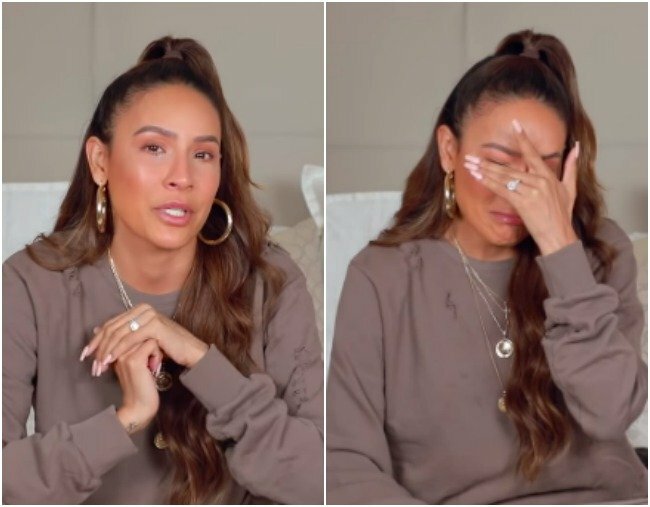 Desi Perkins opens up about infertility in emotional new video. Desi Perkins has uploaded hundreds of videos. None compare to the one she posted last night. Beauty Youtuber Desi Perkins has carved a glittering career for herself in the four years she’s been sharing her life and skills online. She’s painted Kim Kardashian‘s face, has collaborated with the likes of Maybelline, QUAY Sunglasses, and Dose of Colours, and has amassed a loyal following of three million subscribers. And while makeup tutorials have often been joined by insights into her personal life; her love for husband Steven, her pet dogs, and friends, there was something that has shaped Perkins’ life over the last four years that she hasn’t shared. Overnight, in a 36-minute piece to camera, the 31-year-old from Los Angeles changed that, and pressed ‘publish’ on a video titled ‘Hardest Video I Have Ever Filmed’. In it, she sits on a bed and retells the most difficult story of her life; one that includes a traumatic miscarriage, and so many moments of crushing disappointment. “It’s hard for me to make this video but it’s also something that I feel is important to make and it’s also going to make me feel better… it’s going to help me and anyone who is going through what I’m going through,” the beauty guru began. Perkins says that despite being an expert in makeup, the number one question she gets from fans is, ‘When are you having a baby?’. “Surprisingly, after all the things in high school, all the pregnancy scares [or] thinking you can get pregnant easily, that’s not really the case for me,” she said. The aftermath of that miscarriage was catastrophic for Perkins, whose best friend happened to be pregnant at the same time, and who would come over every day to make lunch and lie in bed with her while she battled depression. “There were so many times that I psyched myself into thinking that I was pregnant,” Perkins continued. “… I kept making my body feel pregnant because I wanted it so bad, so if I had one bout of nauseousness… I would get so excited. I’d buy a pregnancy test, come home, and [it would be] negative. Watch the full video below. Post continues. Throughout the confessional vlog, Perkins sliced in video snippets from two occasions; the first when she first told her husband she was pregnant in 2014, and another from last year’s Super Bowl weekend, when she was excitedly taking a pregnancy test, only for it to return a negative result. “Those vlogs… I’ve never looked at that footage again,” she explains. “The minute I found out it said no, that was the moment I truly… gave up trying. “I don’t want to do that to myself anymore mentally, I don’t want to disappoint myself, Steven, my family. I know my mum wants grandchildren,” she says through tears. The all-encompassing loneliness Perkins has felt throughout her struggle with infertility is what compelled her to reach out to other women in the same position. “The comments like, ‘have babies already!’ sometimes make me break down into tears because it’s all these feelings I’m suppressing all the time. 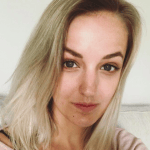 Perkins and her husband are now seeing a fertility specialist who is guiding them through the next step – whatever that may be – as the Youtuber tries to navigate her feelings of embarrassment and fear. As for now, she’s simply wanting to share her story with other women, hoping her tears and trials will make at least one of the video’s 1.4 million viewers feel a little less alone today. If you or a loved one is struggling with pregnancy loss, help is available at SANDS. Mamamia also has a closed Facebook group where women can remember the babies they lost, if you want to connect click here to join Never Forgotten.